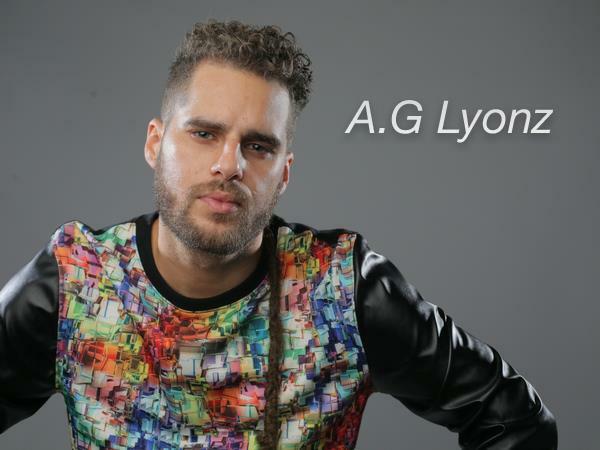 Join us this week as we welcome R&B/Reggae/Hip Hop music singer songwriter, A.G Lyonz. Miami native Andy Gonzalez, better known by his fans as A.G Lyonz, is a very energetic Singer/Songwriter, who is inspired by the world and spreading consciousness and goodness through his music. A.G Lyonz is an independent artist, completely driven and fueled by his love of music. He has performed in many premiere venues across the country and has been blessed with the opportunity to have shared the stage and worked with artists such as Chaka Khan, Dead Prez, Raekwon, Yelawolf, Immortal Technique, Rakim, KRS-One, N.O.R.E, Black Uhuru, Bone Thugs-n-Harmony, Dizzy Wright, Hopsin and many more. A.G Lyonz has been featured on multiple platforms such as P. Diddy's network Re-Volt TV, MusicMix TV & Comcast. With over 300 shows under his belt in the last 6 years, he has also participated in numerous non profit foundations using his music to raise funds for the cause. A.G Lyonz is a very passionate artist. He has a positive and honest message that can captivate and motivate many people around the world for a movement to infinite love. Music is power! We will talk to A.G about his upcoming schedule, get a behind the scenes look at his music, feature his latest songs, and ask him to share his message for the troops. Please be sure to visit A.G Lyonz at http://www.facebook.com/ag.lyonz and spread the word. Fans are welcome to call in and speak live with A.G during the show (718) 766-4193. If you would like to participate in the live chat during the show, you must sign up on the show site first and then log in during the show. As always we will give shout outs to our deployed military listeners. Be sure to join us, Sunday 2/21/2016 at 4 PM EST! Our message to the troops: WE do what we do, because YOU do what you do.